The dreaded Joomla WSOD - white screen of death! This is what you can end up facing when your #Joomla site experiences and displays an HTTP ERROR 500 code. 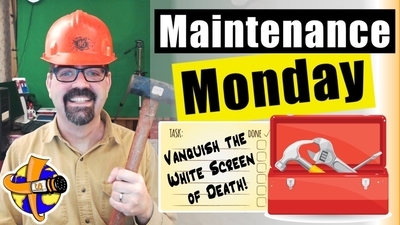 This Maintenance Monday looks at how to find out what the real problem is by getting an error message that can at least help you look for a solution. This Live Stream also demonstrates the fix for a 500 Error Code caused by removing Virtuemart. Basically, the Joomla update system was broken due to remnants of Virtuemart which were not removed when it was uninstalled.